More than a quarter of people surveyed in Ebola-hit areas of the Democratic Republic of Congo told researchers they do not believe the disease exists. Some 36% of respondents also believed that the disease had been fabricated to destabilise the country. The authors of the study, published in the Lancet, said this mistrust was a factor in prolonging the epidemic. 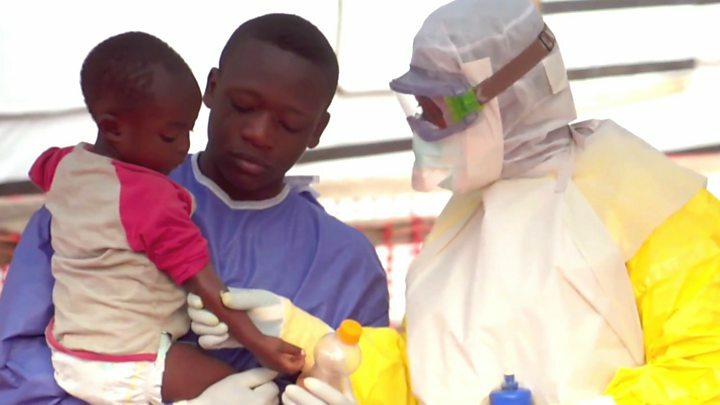 The current outbreak started in August and more than 600 people have died, according to the health ministry. More than 1,000 people have contracted the virus during the current outbreak, which is the second-largest ever recorded. The study surveyed 961 people in the central Congolese cities of Beni and Butembo. The lead author, Patrick Vinck, from Harvard Medical School, said the mistrust was having a deep impact. “This means people are not taking patients to an Ebola centre and not reporting the disease to professionals, which has a direct influence on the risk of transmission,” he told AFP. Fewer than two-thirds of people questioned in the survey said they would take a vaccine for Ebola.